Space Bugs: no, not a 1960s B movie – it’s the latest and final in the Open University’s series of 60 second explainers on microgravity, narrated by David Mitchell. Bugs in space have been something of a riddle through the decades of human spaceflight. As the video mentions, it was originally believed that weightlessness would not affect bacteria, or that they may even get stronger in space. In recent years, however, scientists have come to think that the opposite is true; the increased susceptibility of astronauts to simple infections is down to their compromised immune systems. Astronaut crews suffer in a similar way to Antarctic crews and submariners (albeit, with a more varied and interesting view out of the window to compensate) – so it may be that isolation and confinement, rather than being in space, are the important factors here. 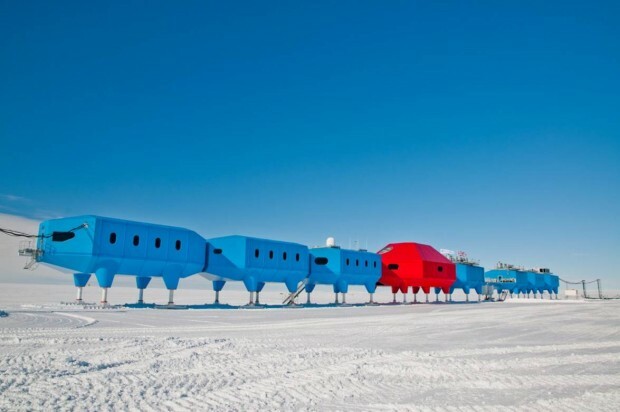 In fact, the European Space Agency regularly use Antarctic research stations to assess how health and behaviour change during long missions, cooped up far from home. (You can read an excellent first-hand account from British ESA doctor Beth Healey here). Nonetheless, when considering longer duration missions beyond Low Earth Orbit (i.e. where the International Space Station is – 400 km up may feel a long way, but is a stone’s throw in the vastness of our Solar System), finding ways of monitoring and controlling bugs is critical, as problems will only multiply with time in space. Professor Peter Taylor, a microbiologist from the UCL School of Pharmacy has been studying this, with particular reference to multi resistant Staphylococcus aureus – better known to you and me by its acronym: MRSA. Whilst spacecraft are built in spotless cleanrooms, and everything that is sent it the ISS is strictly controlled, we cannot stop the bugs which live on astronauts’ bodies. Humans host thousands of species of bacteria which help regulate our bodies and keep us healthy. It is these bacteria which may adapt to the new conditions they find themselves in and act differently, making astronauts unwell. The last thing we want is for a multi-billion pound mission to Mars to be scuppered by some unseen bugs. 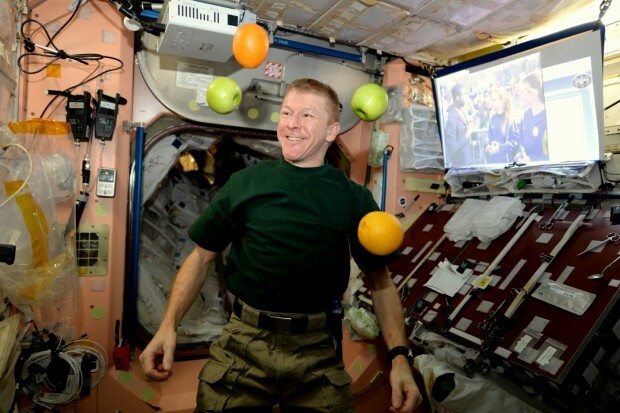 Tim Peake does his best to keep healthy in space. Scientists are working to understand how spaceflight affects astronauts’ immune systems and microbiomes (the microbes which live in and on everyone’s body). Image credit: ESA/NASA. One of the reasons it is hard to understand how being in space effects bacteria is that it is not only the lack of gravity which may play a role: space travel also involves high levels of vibration, acceleration and radiation. Whilst it was previously thought that bacteria would be too small to respond to microgravity, the way their immediate environment changes can affect how they move and thrive. So microgravity is the dominant factor, albeit an indirect one, and scientists have devised ingenious ways of replicating its effects without leaving the ground. 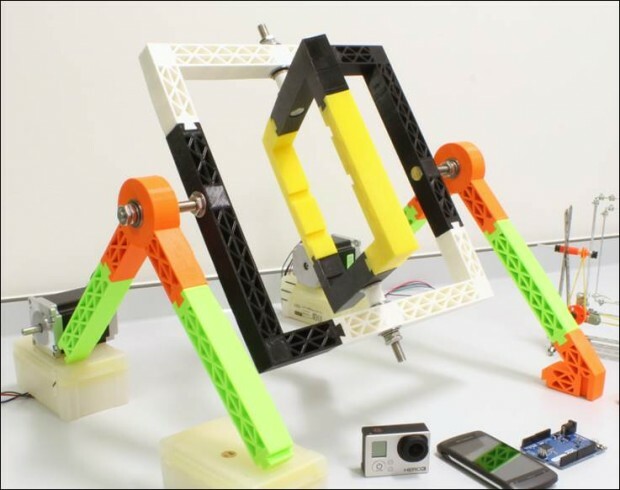 Mechanically, despite the fancy terminologies, this is quite a simple device – in fact this one is being 3D printed by Professor Cullen in his lab – the trick is making sure that the rotation of the two frames is such that it gives the right effect. So, Bugs in Space may sound scary, or bizarre, but actually further research in this area could have significant benefits, and not just for astronauts; improving our understanding of how bacteria fundamentally work and, therefore, how we can use, or stop them, effectively.